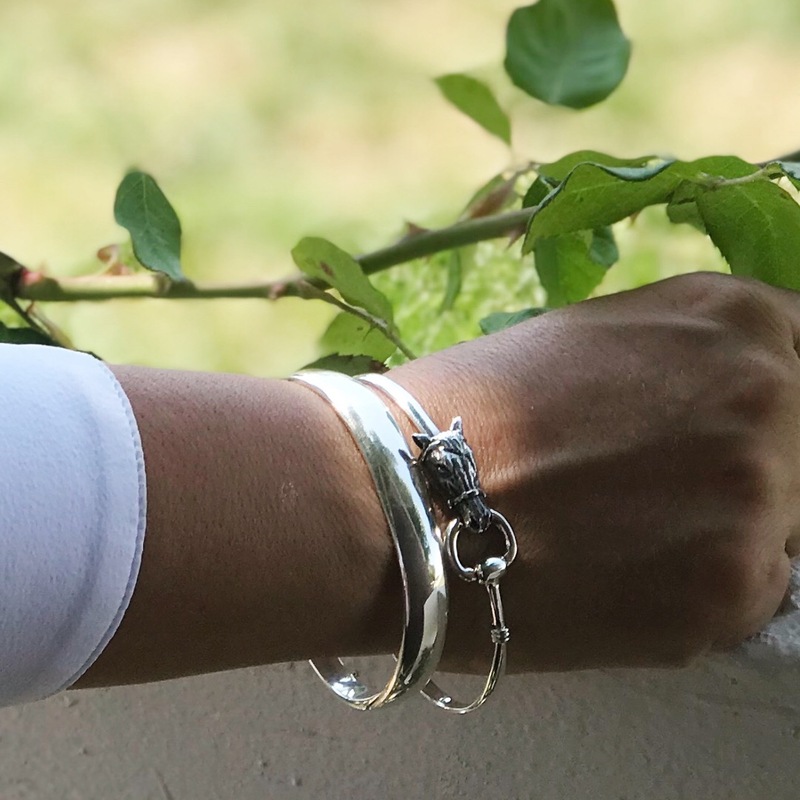 Sterling silver bangle for small wrist opens and is easy off and on for you. Tired of having bracelets fall off, or jangle around because they're too big? We created this elegant style just for you! The best part is it has a hinged opening, so it doesn't have to fit over your knuckles to fit your wrist. Styling tip: Pair with your favorite bangles. 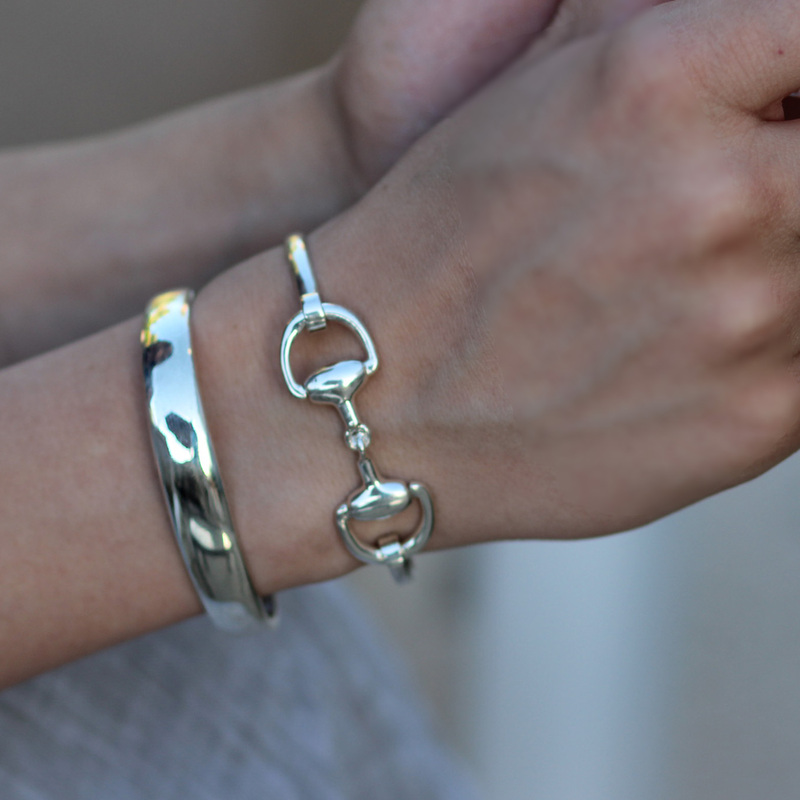 Pairs well with our Full Snaffle Bit Bangle or our Snaffle Horse Head Bangle.